In order to maximise profit within your business, you may find that at times you need to get involved in importing or exporting collectibles. Many small businesses find that they can obtain items from abroad cheaper than within the UK and understandably turn to importing as a way to increase not only the variety of stock they hold, but the profits they can make in selling them. If you do decide to get involved in importing and exporting, you will need to learn about import tax, export duty and all the other fees and charges that come with obtaining goods outside of the UK. In the collectibles business, it can sometimes be difficult to source rare or limited items from within the UK. Your usual suppliers may not be licensed in the UK to distribute the items or you may simply find that there’s a shortage in the UK if the allocation is small. At these times, your mind may turn to the thought of importing from the USA or Far East. Often, when it comes to collectibles, Japan, China and the US have items first and in larger numbers than in the UK. You can search out distributors in these countries online fairly easily and once you make contact and obtain quotes, you may find that it’s the right time to get started in importing. When you decide to import items to sell in the UK, there are a variety of legalities you need to be aware of. The most comprehensive information can be found on the HMRC (Her Majesty’s Revenue and Customs) website, where there are many documents to deal with every aspect of important. There are a few main basic points that everyone should know however, which will help you understand whether importing goods is the right way to go for you and your business. One of the main things to realise when importing goods from outside of the EU is that you will be liable for paying duty and VAT on those imports. In order to find out exactly how much you’re meant to pay, you should contact the National Advice Service (NAS) who have their information listed on the HMRC site. They deal with all the legal issues and payments of importing and can advise you on your individual circumstances. If you’re importing, you let them know and the goods will be classified in a certain category. Normally collectibles aren’t considered to be dangerous goods in any way, but now and again, if you’re importing collectible weapons, these may need individual consideration. NAS can tell you of the exact import duty that is required to be paid before you get the goods, but in many cases, you’ll be delivered the goods by a freight or courier company and will receive an invoice at a later date for customs charges. There are a number of import duty calculators available online, particularly on the HMRC website. They also publish an annual tariff that contains important information about import and export requirements. Something you should factor into your costs is that unlike VAT, duty can’t be reimbursed so it needs to be factored into the cost of your items. Another important area that you should educate yourself on is the laws in the country which you’re importing from. Make sure that you’re abiding by their export laws and that the items meet their safety standards as well as the UK safety standards. It isn’t a regular occurrence to export collectibles to another country when you’re simply a retailer with one or two premises. If you start to become involved in distribution, then there are a lot of legal practices which you will need to employ when sending items abroad. For most retailers though, there’s only the odd occasion where you need to export items to another country. Sending a few items through the post doesn’t usually require that must planning or a deep understanding of the law. If you use a courier to send your items, then you must fill out a customs form in as much detail as possible when the item is being shipped. Normally it is the duty of the receiver to pay any import taxes and not down to you for the odd item you ship. If you’re sending through the mail, again, you’ll need to declare the items by filling in a customs form, but this doesn’t usually lead to export duties for you. It’s important to include an invoice and also make sure that either the Air Waybill (AWB), Sea Waybill (SWB) or Standard Shipping Note (SSN) are completed fully. All exports of goods to countries outside the EU are excluded from VAT in the UK. 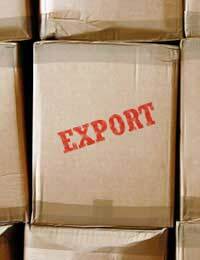 You must keep a record of what you export though so that the sale isn’t charged VAT at a later date. When you have a good understanding of the legalities and fees of importing and exporting, you need to also consider some straight-forward necessities. Always make sure your items are well packaged when exporting and have a clear recipients address and senders address on them. When importing, check that the items are all received in one piece as soon as you receive them and if not, let your supplier know immediately. Other than that, keep your files up to date with your imports and exports and you’ll be getting interesting items for your customers in no time!